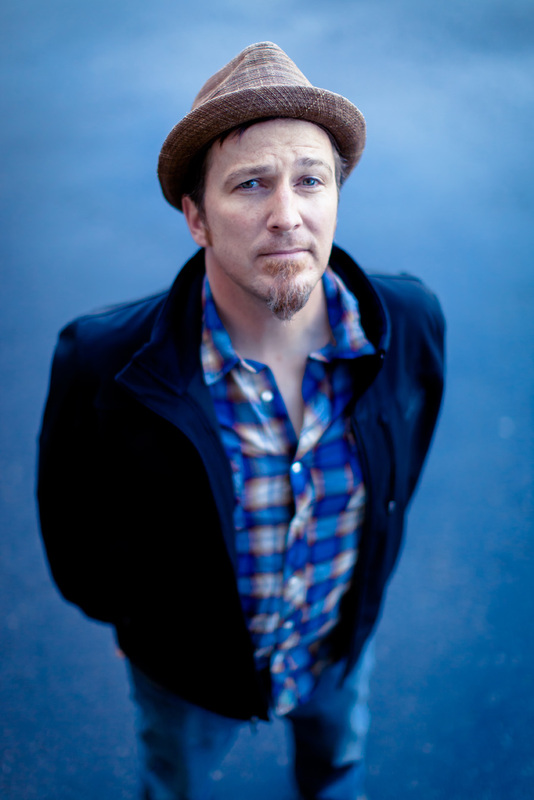 Peter Mulvey began as a self-described “city kid” from Milwaukee, Wisconsin. He played, wrote, and sang in bands while studying theatre there, and then traveled to Dublin, Ireland, in 1989, where he learned the trade of the street singer. Returning to the States, he relocated to Boston with two self-released CDs in hand: Brother Rabbit Speaks (1992) and Rain (1994). In Boston he took to playing in the subways as a full-time occupation. The seven hour sessions playing to passers-by and commuters not only strengthened his accomplished guitar playing but also sharpened his innate gifts as a communicator. In a few short years he had made the transition to touring songwriter. He signed with indie upstart Eastern Front Records, released Rapture (1995) and Deep Blue (1997), and threw himself into a life on the road. He quickly released Glencree (1998), a recorded live in Ireland. The road years further seasoned his abilities as a performer. Whether playing solo or with a band in tow, Mulvey has a rare ability to hold an audience’s attention and transport them, using wit, humor, and a subtle but sophisticated melodic and harmonic sensibility to gracefully introduce complex and provocative concepts and characters. Having since resettled back in Milwaukee, Peter has continued his touring life while making seven solo records with Signature Sounds, the venerable singer/songwriter label in western Massachusetts’ fertile musical Pioneer Valley. His sixth release, The Trouble With Poets (2000), features the title track which remains among his best-known songs. 2002 brought Ten Thousand Mornings, a CD of cover songs recorded live on Boston’s Davis Square subway platform. The name refers to the collective number of commuters’ mornings Peter hoped he was entertaining, or touching, in some way. His albums have always maintained the spontaneity and edge of his live performances, including his 2004 Kitchen Radio and 2006 CD, The Knuckleball Suite, both of which were recorded in just a few days with a band of sympathetic co-conspirators. He followed the ensemble vibe of these records with Notes from Elsewhere (2007), which consists of solo acoustic recordings of some of his most popular songs. Collaboration is another source for Peter’s continued growth. In 2003, he released the trio album, Redbird, with fellow songwriters Kris Delmhorst and Jeffrey Foucault. The album’s 17 songs range from jazz standards to old country tunes to contemporary covers, all recorded in three days around one microphone. Peter’s annual hometown holiday in-the-round gigs have become an institution over nearly a decade. He can sit in with nearly any musician or ensemble and improvise in the common language of music. As a complement to his touring and recording, Peter has also kept a hand in education; teaching guitar and songwriting workshops across the country. His songs and deep baritone voice have been heard in documentary films, major television shows, and by dance and theater companies. In 2004 Peter released a full-length DVD, On the Way, featuring interview and concert footage. For the past several years Peter has done an annual Fall tour entirely by bicycle, partly for environmental reasons and partly for the sheer fun of continuing his creative, unorthodox approach to a long and fruitful career as an artist. Still, it is the live performance that defines that work. Night after night, whether performing solo, duo (with David “Goody” Goodrich), or sometimes even with a band, Mulvey attempts to be the sum of his parts, to draw on all the musical legacies he has studied, to make a fresh, vital moment out of everything he and the audience have brought to the table that night. “People need this. I need this. To come together in a room, to try to make music come alive, for real, for right now, and then to let it go…that is the whole deal for me."